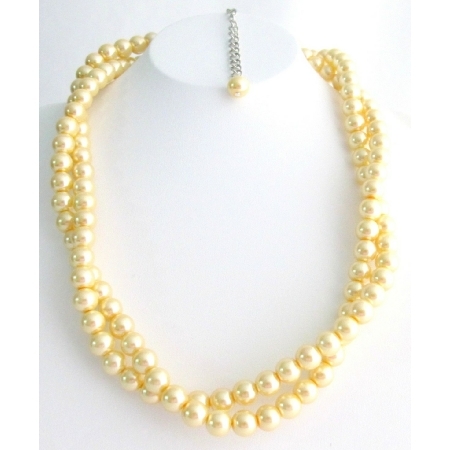 Chunky Twisted double strand necklace ancient style Yellow Pearls Necklace. Making it perfect bridal jewelry. It is bride worthy. It would also make a great gift Maid of honor bridesmaids mother of the bride mother of the groom anniversary or birthday.